Summer vacation is coming – time to unplug and play! 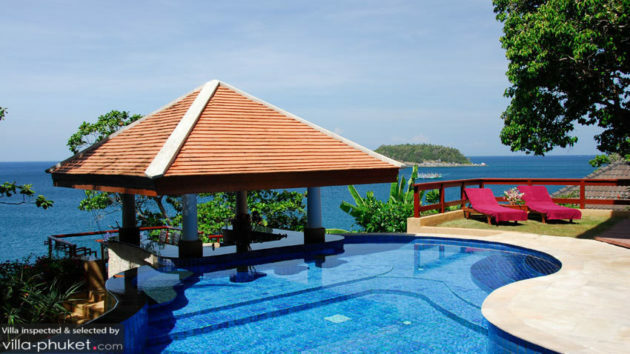 Get away from it all to a tropical haven set along the paradisiacal shores of Phuket. 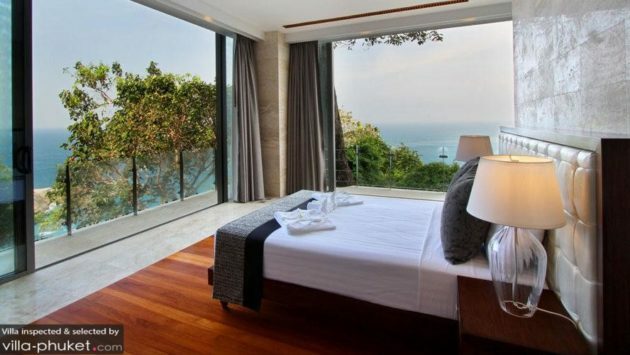 Here’s where you’ll wake up to breathtaking ocean views, swathes of powdery sand and magical sunset shows. We’re featuring our top ten vacation picks, so round up your clan, young and old for a well-deserved holiday in a luxurious retreat! 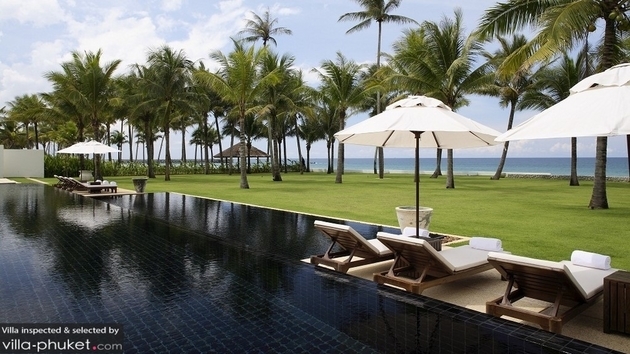 Holiday in stye at the incredibly chic Villa Minh. 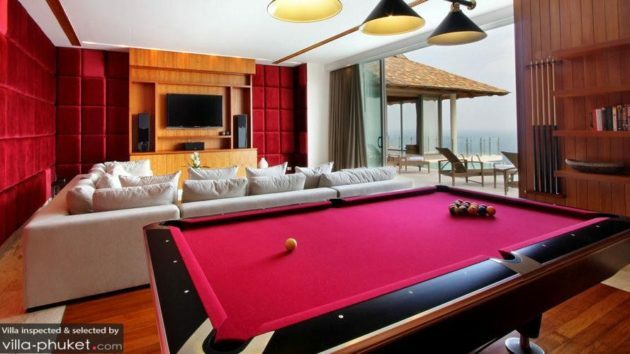 This ultra-luxe vacation rental enjoys amenities like elevators and immaculate marble staircases, a private manmade beachfront and an excellent location atop the cliffs of Kamala overlooking the ocean. Six bedrooms sleep 12 guests. 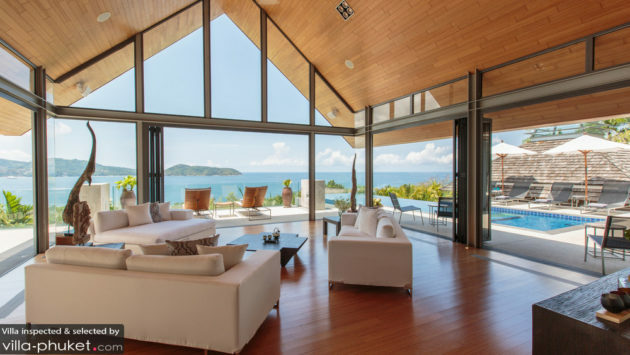 Benyasiri ticks all the right boxes of a luxury vacation home – ocean views, cliff top setting, impeccably furnishing living spaces and more. Our favourite part of the villa is its glass bottom infinity pool, which is beautifully illuminated by pool lights in the evening. 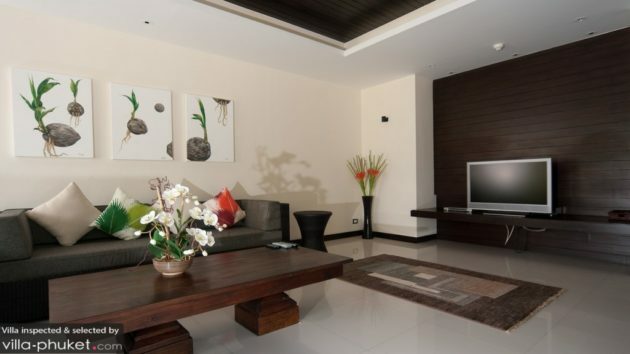 A total of five bedrooms accommodates 10 guests here. 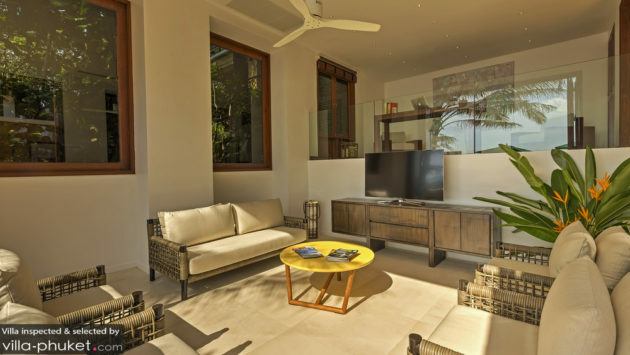 The beautifully appointed Villa Hale Male boasts contemporary interiors, featuring chic fittings, pops of bright colours and elegant Asian accents that remind you that you’re vacationing in the tropics. 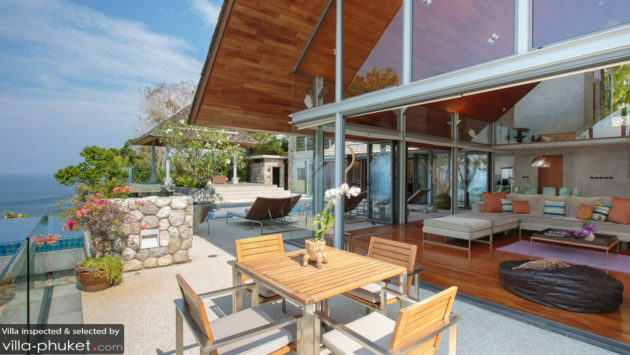 Thoughtful additions, like the expansive glass walls and bi-folding doors make the most out of the villa’s scenic surroundings. Four bedrooms sleep eight guests. Get away from it all at Villa Samorna. 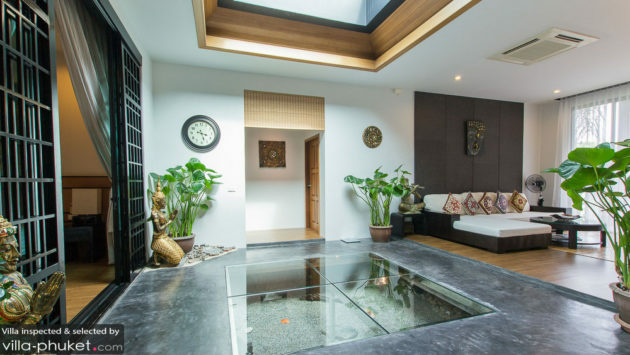 Soak up the serene vibes of this restful retreat, and spend your days in a leisurely manner lounging in with friends and family. Chill out at the breezy rooftop terrace overlooking the gardens and river, sunbathe out in the lawn or bring out the kids toys (available at Villa Samorna) for an afternoon of playtime with your little ones. 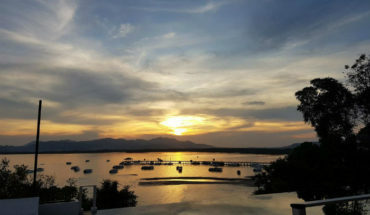 Beach lovers will enjoy being within close proximity to Bangtao beach and its myriad activities and attractions! 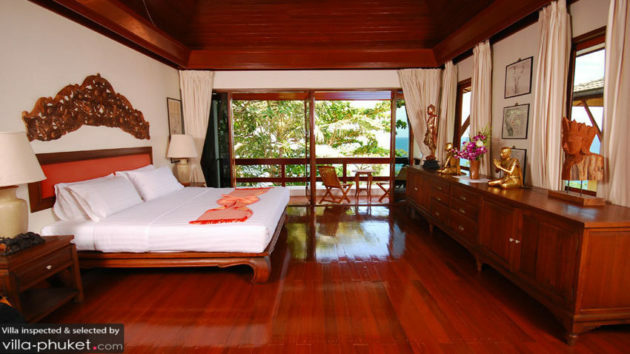 A total of four bedrooms accommodates eight guests. Time for a family vacation? 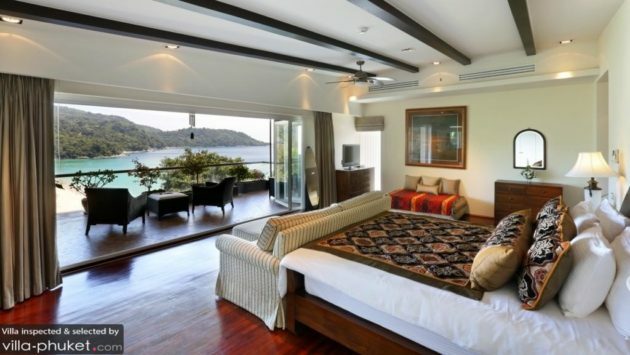 Round up your entire clan for a stay at the sprawling Villa Ananda at Jivana, where 16 guests are comfortably accommodated in seven bedrooms. The living spaces are wonderfully expansive, and are built for large group gatherings. Slip outdoors to enjoy the estate’s extensive garden complete with a swimming pool (there’s a child-friendly wading pool for young villa vacationers), BBQ pit, outdoor dining sala and sweeping sea views. Five generously proportioned bedrooms sleep 10 guests at Laguna Waters. This elegant holiday home is well equipped with a range of amenities, like a swimming pool, barbeque facilities, fitness room and pool table. 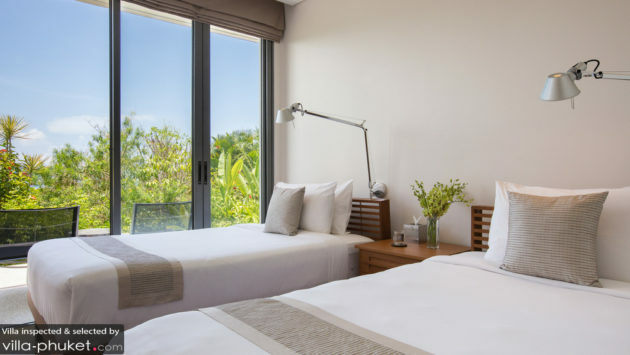 Avid beach-goers will appreciate being just a stone’s throw away from the sandy shores of Bangtao beach. 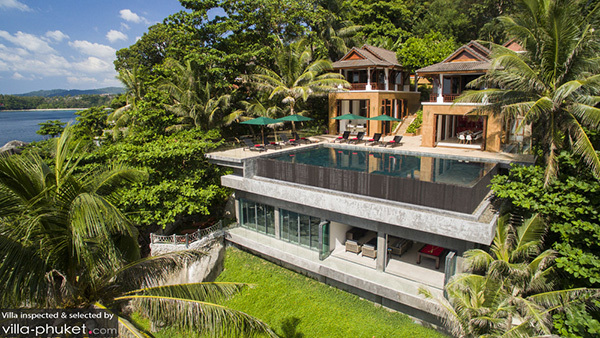 Zip off to Villa Lora for an intimate getaway with your nearest and dearest. 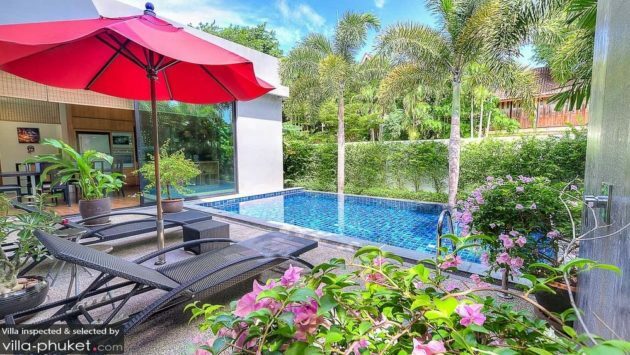 This three bedroom villa, enveloped by lush, verdant greenery is a tropical oasis tucked away in Nai Harn. The interiors are furnished with a contemporary flair, with expansive glass sliding doors that bring the picturesque outdoors in. 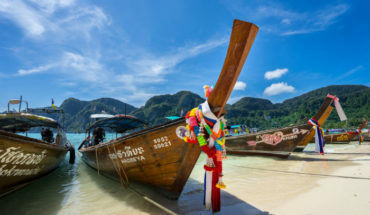 When you’re not lounging languorously indoors, you’ll be out and about exploring Nai Harn beach and its surrounding shopping and dining establishments. Chilling out at Baan Chill Kata is an enviable affair: morning coffees are enjoyed by a saltwater infinity pool with views out to the ocean, afternoons are spent curling up on the plump, pillowy couches within and when dusk beckons, you’ll be celebrating the evening with a sunset show and cocktails at the swim-up bar. 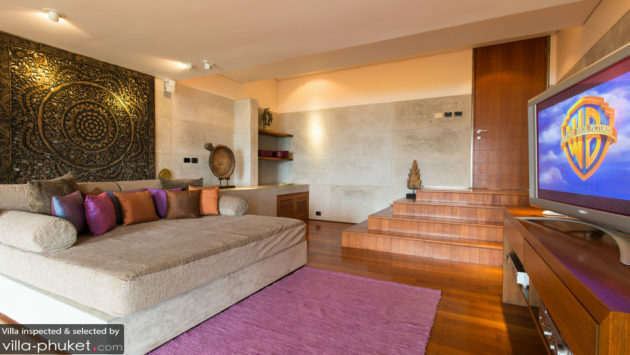 Eight guests are accommodated in four cosy bedrooms. 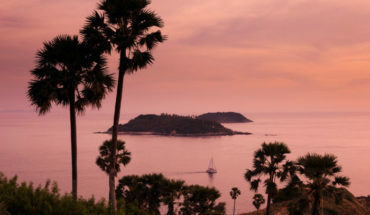 Any traveller would dream of vacationing in a holiday home like Villa Amanzi, with its prime hilltop location, uninterrupted ocean vistas, private massage and glistening infinity pool. 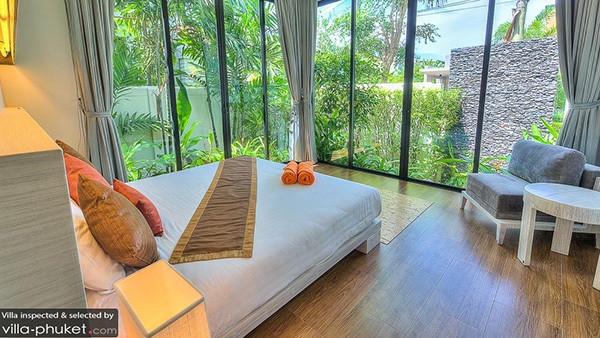 The villa is just a two-minute walk away from Kata Noi beach, so you’re only a skip away from the sun, sand and sea! 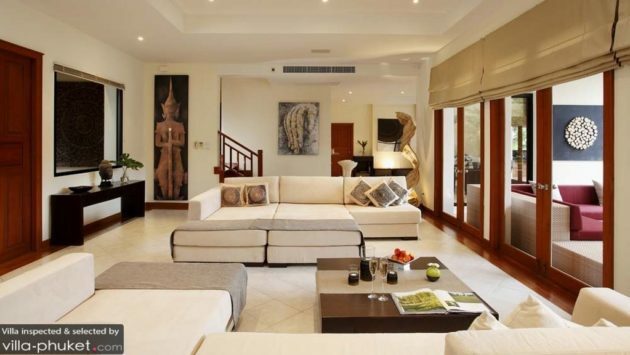 Containing six bedrooms, Villa Amanzi is ideal for accommodating large travelling parties of 12. Villa Sunyata is unlike any other vacation rental; this multi-level structure is built onto a mountainside along Kata Bay, with architecture and interiors featuring an eclectic mix of traditional and contemporary design elements. 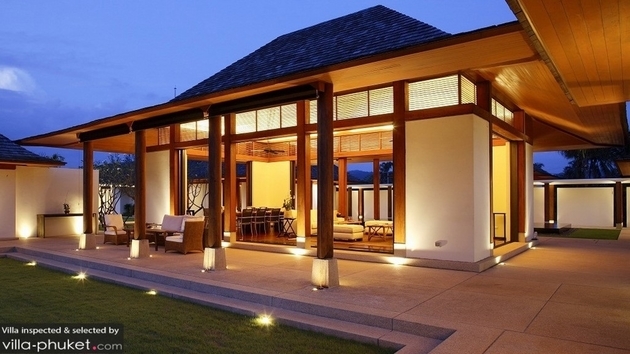 You’ll find living spaces dressed in clean lines and a simple colour palette, and adorned with Asian accents like elaborate rugs and Buddha statues. 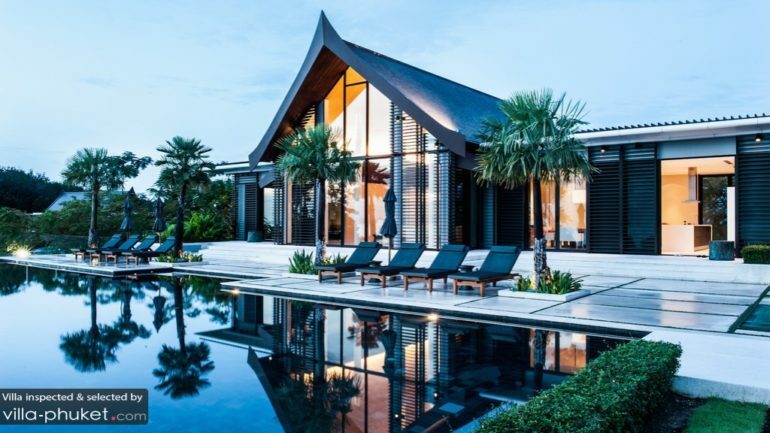 And while the interiors are absolutely gorgeous, the full-length windows and glass sliding doors will steal your gaze, drawing your eyes out towards an Instagram-worthy landscape made up of rugged coastlines and dense tropical greenery.